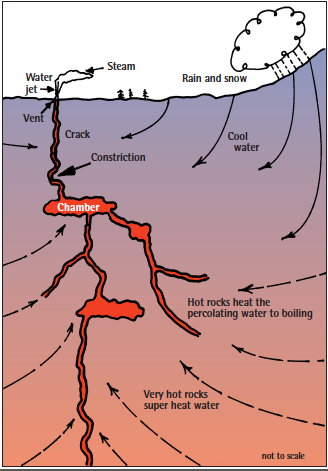 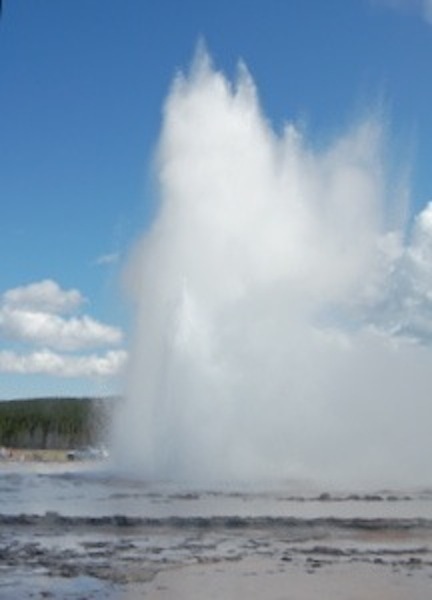 Yellowstone Treasures: Home / Author Blog / Yellowstone Geyser Eruptions: How Do They Work? 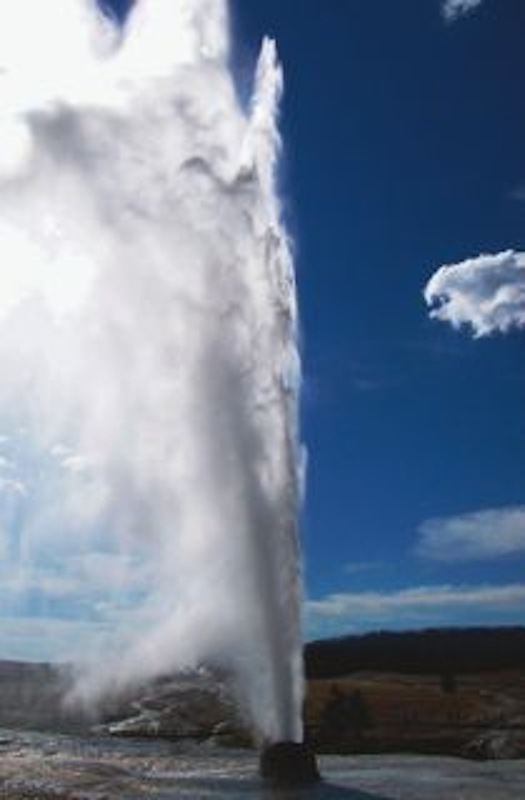 Just as I finished posting about geyser eruptions this morning at 8:19 and allowed myself to look at the OFG streaming webcam, she erupted with much wind blowing the steam to the southeast, and as the eruption proceeded, the rising sun hit the geyser. You can see why I love YNP!! !